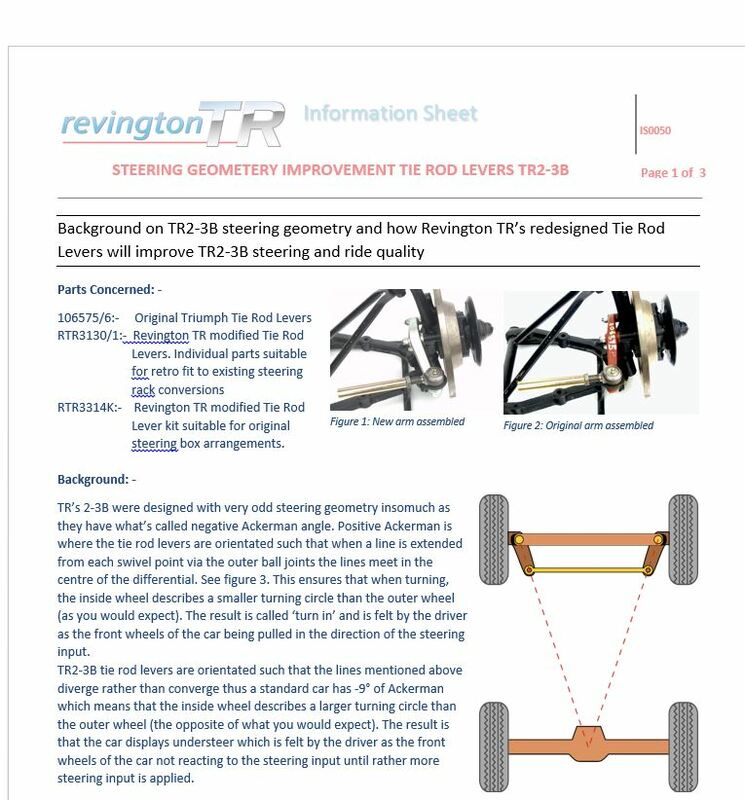 Revington TR information sheets (IS) have been created to provide explanatory information about products we produce, detailing their benefits as well as a variety of general subjects, which are not product specific. You will find these sheets linked to products where they are product specific and to the relevant parts of our browsable on line catalogue. Information sheets are downloadable in PDF format by following the links below. IS0023 - Why do you need bigger brakes? IS0061 - TR Instruments and Electronic Speedometer specific fitting notes.